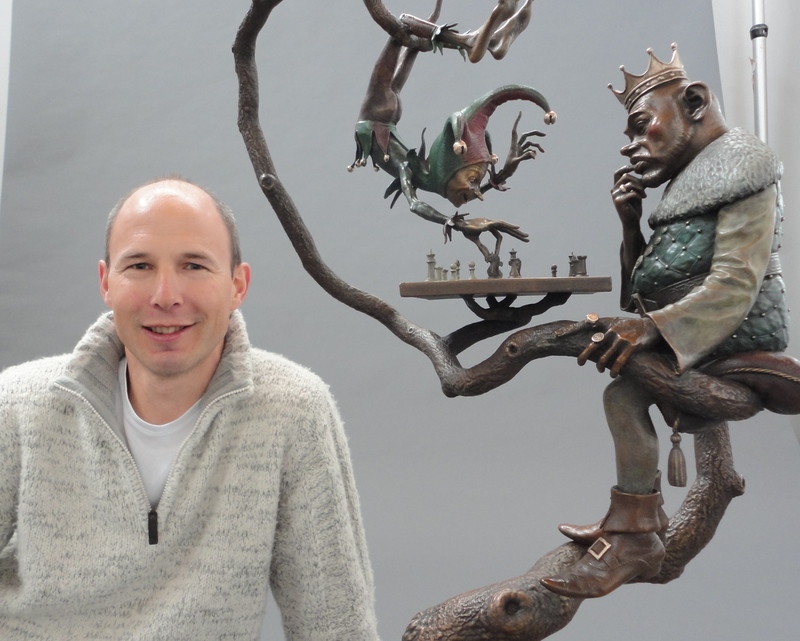 David Goode and his new work "Game of Chess"
In this week, Artworks Foundry was happy to receive the artist David Goode, who came from England to supervise the patina and final details of his new work: “Game of Chess”. Goode is being our client for almost 15 years now and we have been cast all of his bronze pieces since then. The inspiration for David’s work stretches back to a childhood fascination with myths and folklore, and a love of the writings of Tolkein.